CARLSBAD — Carlsbad recently earned a Beacon Spotlight Award from the state for its leadership efforts in sustainability. The award recognizes the city’s efforts in working to reduce greenhouse gas emissions and save energy and its adoption of policies and promotion of sustainability. Cities are judged on three levels of activity in sustainability. A city can earn a silver award or gold award for engaging in one or two activities respectively. If a city is involved in three or more activities, such as Carlsbad is, it earns the highest platinum award. 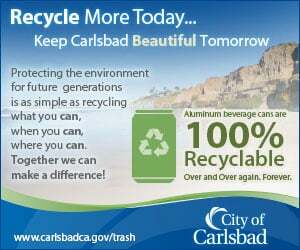 “Carlsbad prides itself in having sustainability as one of the city’s community values. It is really important to us,” Mike Grim, climate action plan administrator, said. He said more than a decade ago, with the help of the community to develop the vision, city officials determined that the guiding principals for the city would hinge on sustainability in regard to the environment. “It really is a community-wide effort,” Grim said. The city has concentrated on preserving open space, promoting biking and safer streets for walking, preserving the watershed and keeping creeks and shores clean. “Besides, we have lagoons and nature preserves and have been able to approve a habitat management plan,” he said. Carlsbad’s efforts go back to its Growth Management Program in 1986, which in part, declared any further development must meet standards of sustainability in how it would affect traffic, open spaces and quality of life in the area. The developments are evaluated and are required to pay for roads, sewers and water up front and it limits the number of homes overall, he said. In addition, the developer must set aside at least 15 percent of the city’s open space. That can be done by increasing the open space of the city, donating to the existing open space or habitat management plan, providing recreational land or dedicating land for aesthetics or agriculture or even enlarging a parkway within the development. The 2015 Carlsbad general plan update included polices to promote open space, conservation and recreation. It also approved its first Climate Action Plan, which reduces greenhouse gas emissions and invested $33 million in its water recycling plant. 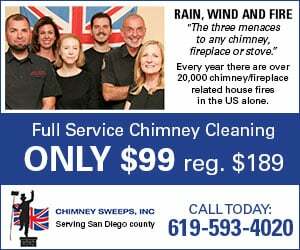 The Beacon Program is funded by California utility ratepayers and administered by Pacific Gas and Electric Company, San Diego Gas and Electric Company, Southern California Edison and Southern California Gas Company under the auspices of the California Public Utilities Commission. It has encouraged, supported and recognized volunteer action by local government to promote energy innovation and create more sustainable communities. The award was picked up at a meeting of the League of Cities last month in Sacramento. To learn more about Carlsbad’s program, call Grim at (760) 602-4623.